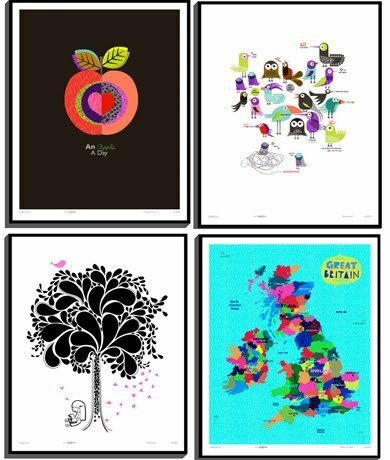 Prints (all £45) from the talented designers at Green Pea Collective - a brand consultancy who have designed for Paperchase, Urban Outfitters and Topshop. They have a new blog too, here. Great find - love the Great Britain one! Oooh liking the map one too... My geography should really be better for someone who likes maps and globes so much! !